FOUR FIGHT FOR SILVER IN SOUTH AFRICA "THE YOUNG GUN"
Norway's Andreas Bakkerud is the youngest driver in the fight to be runner-up in the FIA World Rallycross Championship this season, at 27-years old. EKS Audi Sport's Bakkerud is a six-time World RX round winner and has finished on the podium five times in 2018 with the EKS Audi S1. His season highlights so far have included finishing second in Great Britain and Sweden, and leading the final in France from pole position until the last lap. But, who could forget his stunning drive in the Canada semi-final when he completed the race with broken rear suspension. Bakkerud is currently third overall in the World RX Drivers' Standings and has a total of 224 points, just four points behind team mate Mattias Ekstrom, meaning that the inter-team fight for the silver medal could go all the way down to the final at the World RX of Cape Town in South Africa in November. "We have been fair all season long. 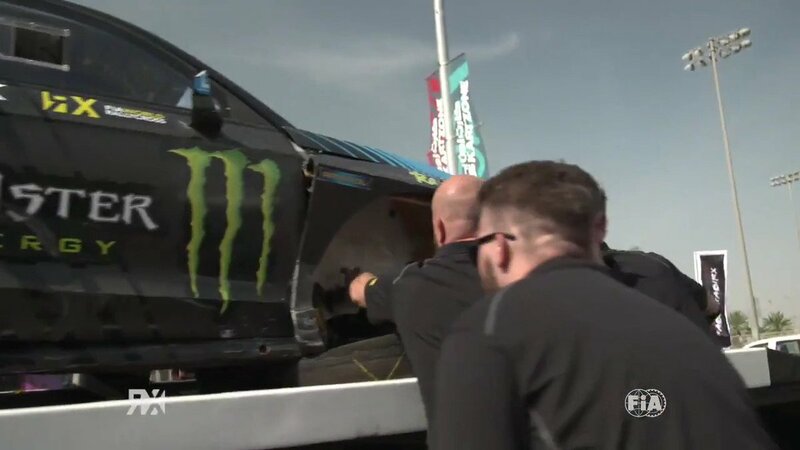 We have been hard, like we have always been to each other and we go down to South Africa open minded to go flat out," said Bakkerud about taking on Ekstrom. "We will do like we always do and let the best Audi win." The Audi drivers will have to keep an eye over their shoulder took though, as PSRX Volkswagen Sweden's Petter Solberg is just three points behind Bakkerud, who started his preparation in the gym last week. "Petter Solberg, Mattias Ekstrom, I hope you’re back home safe after the race weekend in Estering," he said in a message to his rivals. "I just wanted to remind you guys that it's 40 days until the last race of the season in South Africa. I start my preparation today for the silver fight we have there. I know with age, it's hard to get the restitution in, so I hope you are relaxed on the sofa, maybe with a cup of tea in your hand. See you guys down there."